Family Law | Different Surnames? Read This Before You Travel! Home » Articles » Different Surnames? Read this before you travel! Different Surnames? Read this before you travel! With the Welsh and English Schools getting ready to close for the six week summer holiday break, many families will be travelling abroad. Most parents who have been abroad with children would agree that entertaining them at the departure lounges can be slightly tricky, however for those parents who do not have the same surname as their children, it can be a lot more complicated. More women are affected by this issue than men. Some may be divorced from their child’s father and may have remarried and taken on a new name. Others are married but have chosen not to take their husband’s surname whilst their children do. Of course there are also more and more unmarried couples who have children. If you have a different surname to that of your child you need to be prepared in order to avoid unnecessary stress at the departure gates! Whilst these checks are in place at airports, ports and international railway stations to protect our children and to prevent children from being kidnapped, we have also heard of families missing flights as a result of these checks. Such a situation can be avoided by ensuring that you are carrying the right documentation with you. Your Child’s Birth Certificate – this of course will state the name of your child, date and place of birth and will match the details on the passport. It will also provide the full names of both of parents at the time of the child’s birth. Therefore if your name has changed since your child was born, you will need to take even more documentation with you. Proof of your change of name – your marriage certificate or a change of name deed. Some travellers go as far as carrying expired passports in the name that they held at the time of the child’s birth and have found this to be useful. This would then allow the Border Official to link the Birth Certificate, Marriage Certificate and the expired and current passports! If you are travelling alone without the child’s father, it would be advisable to ensure that you have the father’s consent to take the child abroad. 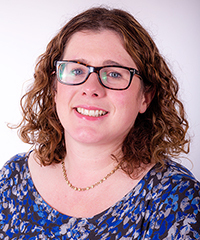 Sara Lloyd Evans one of our Family Solicitors would recommend that you ask the other parent to sign a consent form or a letter setting out their consent for the trip. The other parent’s full contact details should be included together with the full details of the trip (dates/destination/address). Of course each country has its own specific requirements for children travelling without one or more of their parents and therefore it would be advisable to check with the Home Office beforehand. Travelling with children is stressful enough. You can hopefully avoid further complications by being prepared and ensuring that your travel wallet contains all necessary and relevant documents.